A plan by Edinburgh City Council to expand the number of Gaelic signs and visibility of its culture has been branded a “waste of money” by opposition members. Officials have been looking at improving the visibility of the language in the workplace, culture and heritage of the Capital. The City of Edinburgh Council’s draft Gaelic language plan for 2018 to 2022 will also prioritise “consolidating” teacher recruitment for Gaelic education. It includes a strategy to use Gaelic signage across the city as well as aiming to give the language a “sustainable future” across Edinburgh. She added: “There has been lots of frustration in the Gaelic community that Gaelic is not taken seriously enough. We want to embed Gaelic in all of our work and the culture across the city. We also need to think about the long term issues. 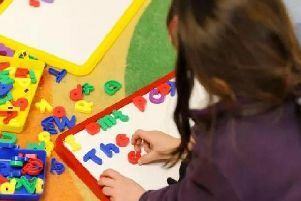 It’s surprising how much demand there is for Gaelic in Edinburgh – in nurseries and schools we have seen long waiting lists, so there is certainly growth there. The number of pupils in Gaelic secondary education in Edinburgh is predicted to treble from 88 students to 271 pupils by 2023/24. The plan will also involve providing “prominent Gaelic signage” across the city including schools and on streets. The Conservatives said proposals for Gaelic signage were wrong and a waste of money. Cllr Max Mitchell, spokesman for culture, said: “From a cultural point of view, I do welcome aspects of the Gaelic language plan. Increasing Gaelic education, provided there is demand from parents seeking it, to understand and speak Gaelic is undoubtedly valuable as it could open other avenues to explore its contribution to Scotland’s cultural heritage from literature to music to film. One of the main issues I have with the plan is this idea that we require bilingual signage.